SEAD mobilizes a community of practitioners, investors, policymakers, faculty, staff, and students to identify, assess, help develop, build capacity of, and scale solutions, technologies, and business models for healthcare delivery and preventive services in developing countries around the world. Through this program, SEAD will capture lessons learned and policy implications to ensure that our work impacts both entrepreneurs on the ground and the broader development community. Since 1924, The Duke Endowment has worked to help people and strengthen communities in North Carolina and South Carolina by nurturing children, promoting health, educating minds and enriching spirits. 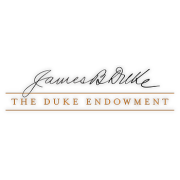 Located in Charlotte, N.C., the Endowment seeks to fulfill the visionary genius and innovative legacy of James Buchanan Duke, one of the great industrialists and philanthropists of the 20th century. Mr. Duke established the Endowment in 1924 with $40 million. In 1925, it was expanded with an additional $67 million from his estate. Adjusted for present value, Mr. Duke's total gifts would amount to almost $1.4 billion today. The Endowment has awarded over $3.2 billion in grants since its inception, including nearly $1.5 billion to Duke University. With assets of $3.4 billion, the Endowment is one of the nation's largest 501(c)(3) private foundations. Today, more than 83 percent of our total spending goes to grantmaking. In addition to grantmaking work in four program areas, the Endowment shares its knowledge by publishing resources for grantees and other service organizations, including information about what they're learning from their work in various publications, reports and evaluations. They also operate a fellowship program to cultivate emerging leaders in philanthropy. The Duke Endowment seeks to fulfill the visionary genius and innovative legacy of James Buchanan Duke, one of the great industrialists and philanthropists of the 20th century. Their work in North Carolina and South Carolina focuses on four program areas: Child Care, Health Care, Higher Education and Rural Church. They work through community partners and organizations to identify where grant funding can make an effective and lasting impact.